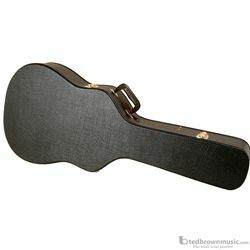 Road-ready hardshell guitar case custom molded to fit acoustic guitars. Holds 6- or 12-string instruments. Black vinyl, black plush lined, gold-plated hardware.